It happens to loads of us, after a really productive morning you can feel your eyes dropping in the afternoon. By about 2pm we’re struggling to focus, despite the mountain of work staring back at us. If this sounds like you, then help is at hand. We’ve developed some advice to keep you in the zone for longer. The most critical thing is to get your full quota of sleep every night. The recommended amount is 8 hours, however most people only get around 6. Being fully rested gives you the energy for the day ahead, you will get up feeling alert and awake, rather than tired until that first coffee! More sleep will allow you to keep your focus in the afternoon and make better decisions. You will also have less reliance on caffeine; another positive step. It can be tempting to put off the bigger tasks until later on, whilst you ease into the day ahead. However, studies show that you’re at your most alert around an hour after arriving at work. So for maximum productivity, it makes sense to tackle those more demanding jobs straight away, meaning that if you do feel a little tired later on, it won’t have as much of an impact. Your diet is integral to staying alert and motivated. Sugary treats can often be very tempting, and can be a quick fix for an energy boost. However, this will only lead to a ‘crash’ later on. Eating balanced and nutritional food, at both breakfast and lunch, will give you the required energy for the afternoon. We’ve been through a few easy breakfast and lunch options, that will help keep your energy levels up and create some much-needed excitement for your work meals. Spending time outside really helps you unwind and reassess things. Being in the same place for too long can cloud your judgement, and hamper your decision making. Try getting away from your desk, or even the office altogether if possible, at lunchtime. The walk, fresh air and sunlight will all re-energise you, as well as contribute to a healthier day. Your routine might be just that, routine. It is difficult to be consistently engaged and challenged if there is a lack of variety in your day. Try and limit yourself to an hours work at a time on any particular project. Research suggests that any longer and you will struggle to make any progress anyway. So when you get an opportunity, mix things up a little bit and create a change. A new task will rejuvenate you, and reduce the likelihood of a slump in the afternoon. Working with others is a great way of altering your routine for the better. Being social and communicating will increase your energy levels, make sure it’s engaging though, sitting and listening to someone else drone will have the opposite effect. These are a few of the best ways we’ve found to increase energy in the afternoon. Let us know your top tips in the comments below. This is a question that, as recruiters, we’ve been asked and also pondered on ourselves over our 3 o’clock cup of tea! A quick google search suggests that, in the most part, the cover letter is dead. 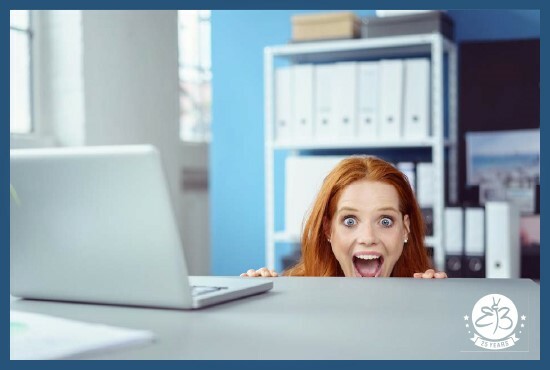 With statistics showing recruiters and employers spend just 6 seconds reviewing each application they have, it seems that those seconds are spent diving straight into the CV, while around 90% of the time, the cover letter is left unopened. Once upon a time, the cover letter was a key part of any job application; an opportunity to set yourself apart from other applicants and sell yourself in the narrative way that your CV couldn’t. These days, hirers are receiving more and more applications to their roles, which means that their time spent sifting applications is at a premium. They want to be able to see, in the shortest time possible, that the applicant has the necessary skills and experience relevant to the vacancy. Another factor in this shift away from cover letters is undoubtedly down to the rise of social media, and its power should not be underestimated! Employers and recruiters are often conducting reconnaissance routinely across all social media channels, including Facebook, Twitter and Instagram as well as LinkedIn, as part of their recruitment and selection processes. First and foremost, make sure your CV is the best sales tool it can be! We’ve written a whole separate blog about this, check it out here. 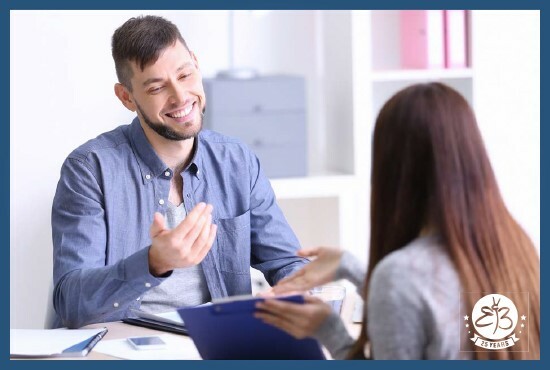 Make a conscious effort to review what information is available about you online; is it information you would be happy for a potential employer to see? Suddenly those snaps from a drunken night out circa 2001 might not seem so funny. It’s not all negative though, you can make your social media work for you. Ensure that your LinkedIn profile is up to date, and that any bio section is well written and represents you and your career aspirations. And finally, if a job advert does specify that a cover letter is required, then of course you should put pen to paper and provide one. We’re at the Derby City Job Fair today from 10:00 – 15:00 at Pride Park Stadium. 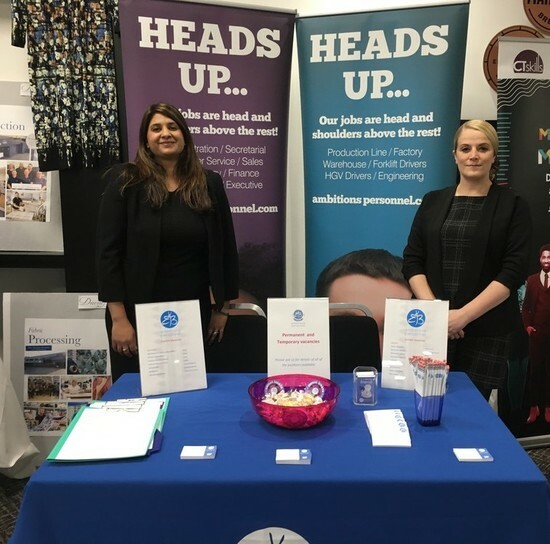 Jeetinder and Lynsey are there for us to show our latest vacancies, and even help the attendees with CV checking and job hunting advice. The fair is organised by Derby City Council in conjunction with Job Centre Plus, providing thousands of opportunities in the Derby area. It’s all taking place in the pedigree suite, but remember you’ve only got until 15:00 today to attend! Joseph Dabrowski is our temp of the month for September due to the continuous hard work, effort and commitment he puts into his job. Joe often goes out of his way to come up with new ideas to make his job more efficient and effective for him and the rest of his team. 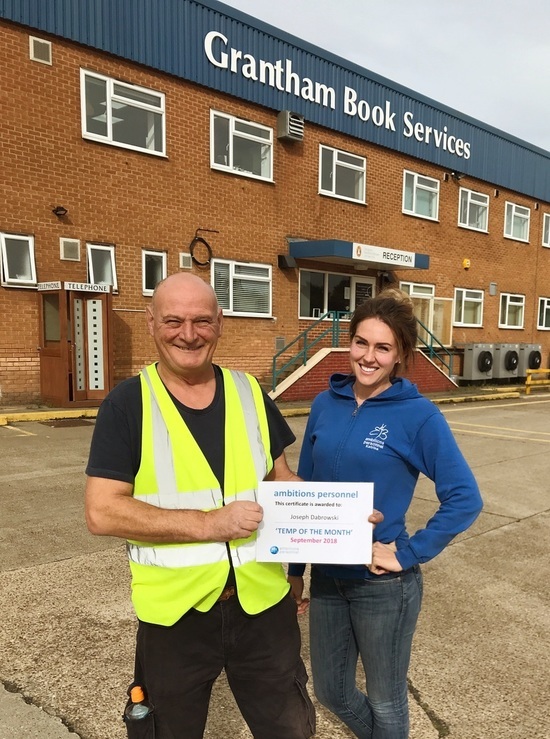 Joe is a very valuable member of the workforce at GBS and to be able to give him temp of the month is well deserved – I can’t thank him enough. Joe was given a £25 love to shop voucher. Pictured is Joe receiving his award from On-Site Consultant Katrina Pidhorodeckyj. Convenience food as its best; just cook up a batch of pasta at home the night before and pop in the fridge, the next day you’re ready to go. It’s delicious cold, or simply re-heat if you prefer a hot lunch. The possibilities are endless so you can be sure you won’t get bored; just add whatever takes your fancy. Batch-cook a healthy and warming lunch for the week ahead, using a base of cooked onion and garlic, chuck in whatever veggies take your fancy, cover with stock and cook until soft. Blend up using a hand blender until smooth or leave chunky if you prefer. Not only super healthy, but they look great too! Start with pouring your choice of salad dressing into a jar, followed by layers of any ingredients you like; vegetables, quinoa, cheese, even fruit! Your pretty rainbow lunch will be the envy of your colleagues. By putting the dressing in first your salad stays crisp and fresh until you’re ready to eat. Using cooked rice as a base, top with chicken, avocado, black beans, sweetcorn and peppers. Use a shop-bought chipotle sauce or tomato salsa, or go one better and make your own. A tasty lunch treat which will be sure to keep those afternoon snack cravings away. Gym bunny or trying out a low carb diet? Whatever your reason for wanting to up your protein intake, these recipes might be the answer to your lunch conundrum and help you stay on plan, even while out and about. Low on time? Just hard boil some eggs, and mix with tuna and spinach. The Tour of Britain 2018 is in full swing, with 5 stages completed at the time of writing Team LottoNL-Jumbo’s Primoz Roglic has the race leaders Green Jersey. With Quickstep’s Julian Alaphilippe and Bob Jungels poised to take the lead, it’s going to make for an exciting last three stages. Our team in Mansfield are fully in the spirit, with the branch decked out to celebrate the penultimate stage finishing in the town on Saturday. It all gets underway in West Bridgford, with the peloton expected in Mansfield at around 3pm. If you see the team out and about come and say hi! You can find the branch at 30 Leeming Street, Mansfield, NG18 1NE. Following on from the amazing summer of football, we have an update regarding our World Cup competition. Martyn Patterson guessed correctly that the winners (France) would score 14 goals during the tournament. 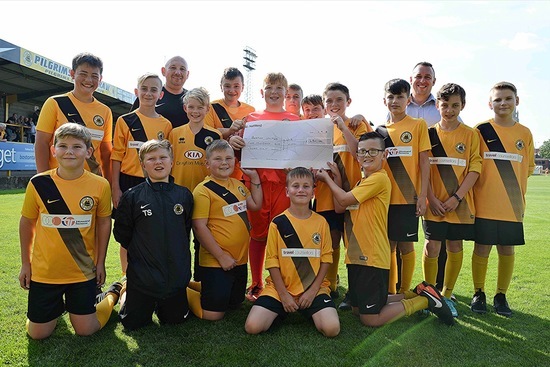 The prize he won was a £250 donation to a youth football team of his choice, as Martyn also coaches the U12’s at Boston United, it made his choice quite easy! We hope the new equipment is a big help during training and on matchdays, we’ll be in touch to find out how you’re getting on, good luck for the season! Martyn and the team are pictured on the pitch during halftime at the Jakemans Stadium, with Lee Sargent from our Boston office helping to make the presentation.